Shopping is my thing. Be it online, in store, bargain shopping, etc. No matter what I’m shopping for, I love a good deal! Because shopping isn’t too fun when you’re breaking the bank, right? 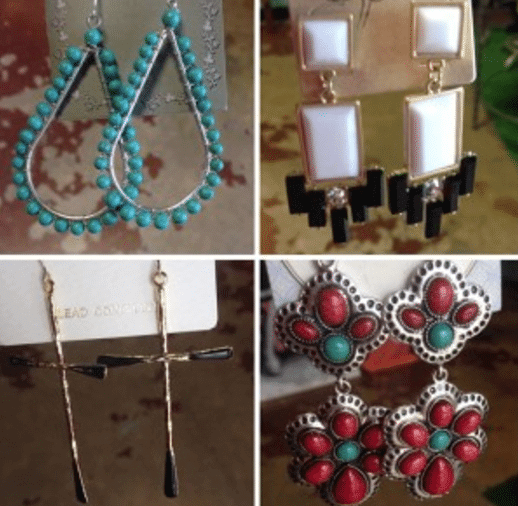 Today, I’ve compiled a list (for the ladies and guys shopping for their ladies) of Lubbock’s gem shopping destinations when it comes to saving a buck on what you love. Formerly the 10-20 Boutique, Piper has a new name and a new look! Clothing and accessory prices range from $1 to $49, so you know you’ll find something good no matter what! In fact, their new slogan is “She’s Every Woman.” Piper is located at 5604 Slide Road. Click here for hours and details. This eclectic boutique provides affordable and fresh styles from the latest designers including Audrey, Sweet Candy, True Religion and more. Girls, if you need to find an outfit for your next Red Raider event, T.C. Elli’s is stocked with red and black clothing and accessories! T.C. Elli’s is located at 2422 Broadway, Suite B. Click here for hours and details. Resale clothing at its finest! Better than a consignment store, Culture Clothing buys, trades and sells designer and brand name clothing, shoes, accessories and more at a reasonable cost. This place is where vintage meets trendy (and affordable)! Culture Clothing is located at 1717 Broadway. Click here for hours and details. Ladies, look no further for your accessory needs! They offer a great selection of uniquely, fashionable women’s accessories at really affordable prices. Aside from jewelry, belts, hats and handbags, you can find bridal and evening accessories and even corral boots! Accessory Touch is located at 5217 82nd St., Suite 205. Click here for hours and details. This is the place where local people come to sell their wares, and customers from near and far come to get all the best merchandise for the fairest prices. You’ll find everything from accessories to home décor to candles and more! KK’s Craft, Gift & Antique Mall is located at 8201 Quaker Ave. Click here for hours and details. While this is a shopping event and not a stand-alone store, it’s a must-do during the holiday season! This year, the shopping extravaganza is taking place from Wednesday, Nov. 20 through Sunday, Nov. 24 at the Lubbock Memorial Civic Center, 1501 Mac Davis Lane. More than 130 merchants from across the country will come together to deliver all of your shopping (holiday or general) needs. I personally cannot wait for this event! Check out our recent blog about the 2013 Holiday Happening for more information. Do you have a favorite Lubbock store that doesn’t break your bank? I’d love to hear and add it to my list!